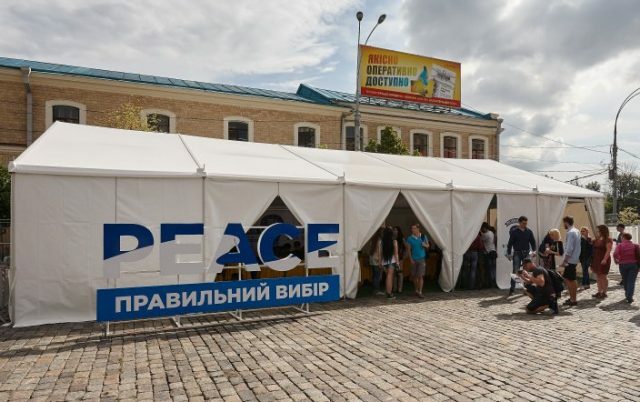 Free informational and educational platforms for various projects “Idea Space” is working in the Euro-2016 Fan Zone at Freedom Square. The purpose of the project is to provide a platform for sharing and uniting around new ideas and initiatives for the development of Kharkiv, explained the director of the Department of sports image projects and marketing of the City Council Aleksey Chubarov. Organizers promise many interesting presentations and lectures. There will be a presentation by representatives of the Red Cross, police, rescue workers, businesses, and international cooperation department. The Pavilion will run from June 16 to July 10, every day from 12 to 22.00 in the fan zone. There is free access coworking with fast wi-fi. The project is supported by the “Breakdancing center”, the United States Agency for International Development, non-governmental organization (USAID) and the Department of sports image projects and marketing of Kharkiv City Council. We also recommend you read: How Kharkivens supported Ukraine for Euro 2016, Fan Zone will be working on Freedom Square during EURO 2016.